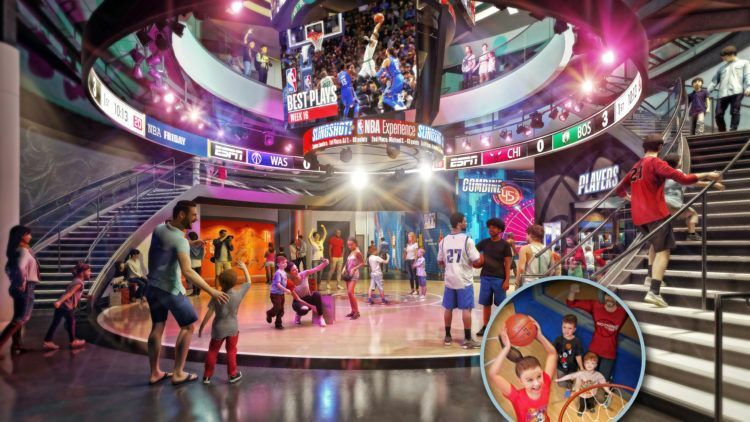 In collaboration with the NBA, Disney is developing NBA Experience as a one-of-a-kind environment packed with 13 interactive elements and hands-on activities across 44,000 square feet and two floors. NBA Experience will give guests the chance to feel like a basketball superstar. NBA Experience will officially open August 12, 2019.